Q - How did you get into home brewing? A - I got into homebrewing when my college roommate needed help bottling some of his homebrew, I thought it was so cool and interesting. The whole act of creation and having a start to finish of something seemed so inspiring. I have an art and music background and it fit perfectly as the puzzle piece of my imagination. Q - How did you get initially get into the industry? A - I lucked out and my girlfriend happened to be working at a pub that needed an assistant brewer. She recommended me to the head brewer (who was also from Michigan like myself). We met and really hit it off. Not only was I a homebrewer (and not a very knowledgeable one), but I also worked in sales at a great craft beer bottle shop in the Detroit suburbs. These experiences helped me get my foot in the door. I basically learned to become a brewer on a commercial scale without much homebrewing or any experience. I was only 22 when I became a brewer too. Q - When did you know you wanted to go pro? A - It took me a couple of years of learning about styles and homebrewing before I wanted to go Pro. I also studied Entrepreneurship at Central Michigan University where I did my final business plan on a brewing company operation. It all came full circle when my girlfriend suggested we move to Portland, Oregon...the craft beer capital. Then I knew I had to pursue this as a dream and career. Q - If you were to outline a simple 5 step process from transitioning from hobby to professional, what would it be? Look into schooling. I studied Intensive Brewing Science and Engineering at the American Brewers Guild. (A school taught by all brewers) The knowledge you will gain will be unreal. I learned so much, even after 5years of already having the commercial experience. Ask as many questions as possible. The brewing industry is by far one of the coolest, most brewers are excited and willing to help. Emails work great for questions. Read as many books as possible. There are some great books out there, especially the brewers publication books! Train your palette. Sensory analysis is one of the most important aspects of our industry. If it doesn’t taste or smell good, then figure out the why. Yeast is your best friend. My company is a very yeast forward brewery focusing on beers such as Saisons and mix culture barrel aged beers. Make sure your yeast is healthy and you are pitching at accurate rates at ALL times. Q - What was an obstacle that you had to overcome to open your brewery or get licensed? A - Getting money. Banks have tightened up money big time and SBA loans for a high risk startup is not an option. Private money can be hard to obtain because of the huge amount of startup capital needed. I still am facing this challenge. Although I currently don’t have my own facility open, I am brewing my brand out of another brewery get started. Unlike contract brewing where you hand over your recipe and another manufacturer produces it, I just rent the brewery space to use when I need. I store my kegs, raw materials there just like the brewery is mine. This was the best option for me until I gain the adequate capital I need to open my own facility or I am no longer considered a high-risk startup. Q - Any weird state or government laws you had to battle? A - The TTB wait times have been less than ideal but what are you going to do. Q - What do you know now that you wished you had known before starting the process? A - What I have learned along the way is to have patience. Opening a successful business takes all necessary planning and steps to get ready. Don’t rush it. Be humble, ask questions. Q - What did your start up cost? How did you fund it? A - Startup cost-$552,000. (200k for buildout, don’t compromise in this area because it will cost more than you think) Still working on all the funding. I had 50k of my own to get my Alternating Proprietorship, I also have a lead on a family friend investor back in Michigan. I would ideally like to be privately funded to avoid any bank relationships which I don’t like so much. Q - What size barrel system is your brew house? How much beer are you planning to produce annually? A - It's a 10bbl system, with 10’s 20’s & 30bbl FV’s. I plan to do 1500bbls by year 3 and no more than 3000 at my facility. I want to stay small. Q - How did you come up with your brewery name? A - I had it on a list of potential names and a few buddies and I were sitting around brainstorming, they really liked the name. (I actually thought it when I was listening to "My Friend," by Phish) I'm going to kinda tie ruse's into my branding...just like the penrose triangle, mazes, etc. I have always liked things that make you think when you look at them. I plan on my tasting room to have all sorts of visual arts for customers to enjoy and ponder. I am also a huge fan of MC Escher, I always have thought..what would his brewery tasting room look like...hmmm, this is when the whole Ruse Brewing lightbulb went off. Q - What differentiates your beer from other craft breweries? What's your style? A - How am I going to make myself different. Not a huge fan of this question because we are not reinventing the wheel. But I want to incorporate my love for music, art, and craft beer by having a music venue/art galley brewery in which shows are paired with beer releases. I like the fruit and floral of Oregon in some many ways and hope to highlight these in my beers. Supporting other business and my local community is must of my company. It is pretty amazing I can get all my ingredients for Ruse Brewing within a 60 mile radius. Q - If a consumer can take away one beer or a vibe about your beer company, what would you want them to remember about you and why? A - If a customer wanted to take one vibe away from my company it would be to expect many different beers and less year rounds. I plan on having 4 year rounds and the rest will most likely be one offs. Also, is that we stay true to what we believe in..art inspired and community and culture driven. The romance for us is to have less of a predictable road. Q - Where do you see your start-up brewery headed in 5 years? A - My brewery by year 5 will be packaging much more..standard and sour released stuff will be available to a wider consumer base..WA, ID, CA, CO. I hope to open a second location maybe..Just a tasting room. As for the industry, you will start seeing closures. There is no more room for mediocre beer. Set the bar high for yourself and your company…you have one chance in this industry. If the beer is not good, cut your losses. I have definitely dumped barrels in the past that didn’t turn out the way I wanted them. Q - If you could give one piece of advice to a home brewer that wants to go pro, what would it be? A - You never stop learning, be humble and ask tons of questions and learn from each other. Share things that have worked for you too. Nancy Brew wants to know! - Are you in the process of transitioning from home brewer to a pro brewer? If so, I'd love to hear from you! 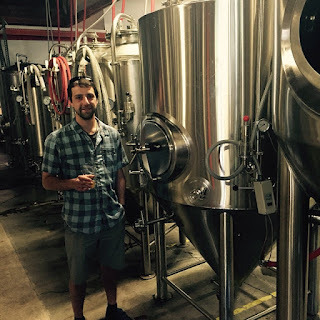 - Are you curious about transitioning from home brewer to pro? Did you find this Q/A helpful? - What other questions do you want to know about going Pro? 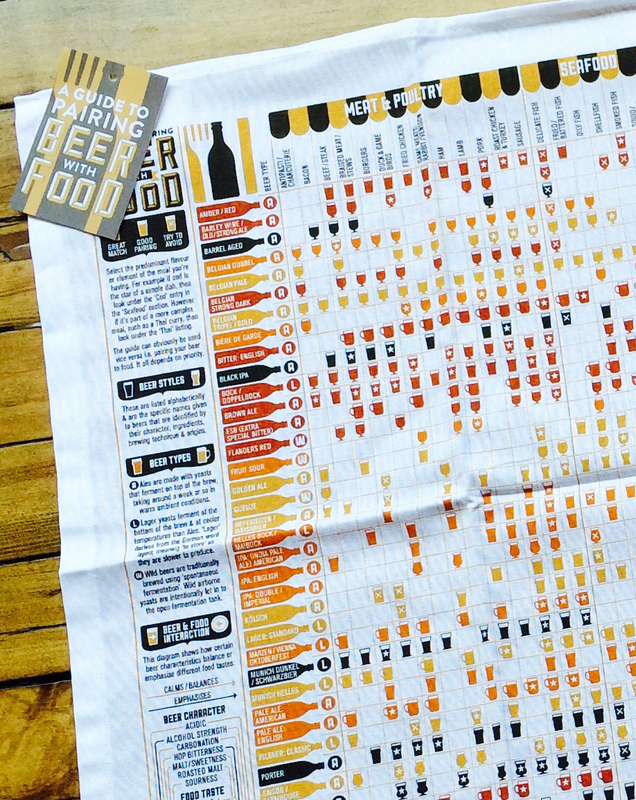 Beer/Food Pairing - Infographic tea towel! Few things amuse me more than well executed infographics, so when I saw these awesome and beautiful tea towels featuring food and beer pairings, from UK designer, Stuart Gardiner, I had to have it! He also makes white and red wine charts too and other beer graphic items. Perfect gift for any foodie and craft lover. 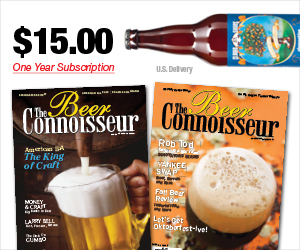 - Do you have a perfect craft beer gift for a beer lover? What is it? How to become a better brewer... Study the Classics. When I first got into homebrewing, I had no idea that there was such a thing as classic beer styles, but I soon learned that you needed to know them, if you wanted to be a better brewer and/or were going to enter into home-brewing competitions. The first time I entered my Maironberry Belgian Triple, I was a bit confused on which category it fell into... was it a Belgian Triple, a fruit beer, or a Belgian specialty? I ended up entering it as a fruit beer, because the fruit was primary dominate. But then it got me thinking... What else don't I know about beer? I mean I've been drinking it for well over 15 years, good beers too, but it's a whole different level when you start to brew it. I thought if I'm going to embrace brewing beer, invest in equipment and the hobby, spend the better part of my days elbows deep in grain, I should further my knowledge and get this right, right? So from Fall of 2013 to the Summer of 2014, I spent many of my days studying for the BJCP. At that point I was brewing almost weekly, and Brewing Classic Styles, was my go to guide on many recipes. I had fallen in love with brewing pretty quickly and felt the need to literally emerge myself in all things craft and to be honest I felt a bit behind... How was I not doing this any earlier in my life? I had always loved craft beer and even thought about homebrewing years ago, when I'd attend other craft beer festivals where they had a homebrewing shop in attendance. I just never pulled the trigger until Spring of 2013. And at that time none of my friends were brewing and I wanted to find others who shared my passion and had some knowledge and more experience than me. I was looking for a community. I researched online, and found a bunch of local home brew clubs and online forums. There were a few local club stand outs... Square Kegs, Evanston Home Brew Club, and CHAOS (Chicago Hombrewers Alchemist of Suds). I loved all the clubs when visiting their monthly meetings, the members were friendly, the beer was tasty, but there was one standout... CHAOS. They are a registered non-for-profit organization dedicated to furthering one's education on craft brewing and becoming better craft consumers through classes and seminars. They also had their own space to brew, which is key in an urban area, and they had a ton of social events, perfect for the social butterfly in me. Luckily, that same year they were offering a series of monthly classes to study for the BJCP, a Beer Judge Certification Program which studies the classic styles. I had stumbled upon these late, and didn't start attending the classes until Fall 2013. The 2 hour classes consisted of studying one classic category per month. This was great, because we'd get an overview on the style by a BJCP Master, James Lewis, and then taste classic examples of the style using style sheets to take your notes as you would do on the tasting exam or when beer judging. The classes started in January 2013, and I had just jumped on board in Sept. so I was way behind the rest of them, which meant I had to do a lot of studying on my own. This seemed challenging at first, I had suddenly realized I forgot how to study. I hadn't studied anything since college, which was well over a decade ago, but to my benefit BJCP.org offers PDF study guides and flashcards that you can download to help you review. I downloaded the flash cards to study/memorize the classic styles and off flavors. I spoke them out aloud, highlighted important differentiators, and wrote them out in a notebook. I even had my friends quiz me with the cards. I also reviewed the judging ethics guidelines, which also counts for a portion on the exam and over all score. The BJCP is a 2-part exam. The first is an online multi-choice, multi-answer timed 60 minute exam that consists of 200 questions. You must get 70% overall or higher to pass and 70% or higher. The exam has questions ranging from: technical brewing aspects, classic style references, detecting off-flavors, and judging ethics. After you pass the online exam, you're allowed to take the tasting exam at a sanctioned registered location, which you must register for. Many places have waiting lists, so you need to secure your spot once you pass the exam, as your opportunity to take the tasting exam will expire in one year from passing the online test. I recommend purchasing the 3 pack exam. I took the first one totally blind, before heavily studying, but still with some knowledge. I noted the questions and what they asked and what I needed to improve on in my areas of study and I assessed my pacing then adjusted my method to complete it in time. I found it most efficient to answer every question as you came across it and if I was unsure to flag it and revisit later. When I tried to skip questions, I just ran out of time and wasn't able to answer everything in the 60 minutes. Clearly I didn't pass the first go. It wasn't my intention to pass, I just wanted to get a feel for the environment of it first. The second attempt I made was a success and I did that by heavily studying all the areas covered. Once I received my certification for Provisional Judge, I started studying up for the tasting exam. This consisted of actually drinking the classic styles and partaking in some competitions as an Apprentice or Provisional judge. I bought one of each of the classic styles and photo documented the label with a poured sample in a plastic taster glass to simulate the tasting exam. I filled out an offical judging form for each style of beer I tasted, which helped with sensory memorization. Binny's, in Chicago is a great beer store for these purchases, because they sell most of the classic beers and you can usually find in build your own six pack area, if not one of the employees usually will be nice enough to open up a pack to put it in that section. Get a friend or neighbor to help you finish your beers, as you should only allow yourself to drink 1-2 ounces of each beer, so that you don't get too tipsy and hinder your senses on the later beers. The tasting exam is also intense. I was able to take mine at the AHA 2014 National Homebrewers Conference. I was in a conference like room, with long rows of tables set up with water and crackers set up on each. Your given mechanical pencils as regular Number 2s shavings, may infringe on your sense of smell. And wearing perfume, cologne, or chapstick/lipstick is strongly discouraged, since these too can interfere with yours and your neighbors senses. You're given blindly 6 beers to evaluate in 15 minutes a piece. The only thing that is provided to you, is the style of beer. Everything else you're senses and beer knowledge must do the rest of the work. Which includes observing and documenting the beer for: aroma, appearance, flavor, mouthfeel, and overall impression, noting any off-flavors if present and how well it falls into it's said category. After turning in all of your judging sheets, you must wait for 3 to 6 months for your scores to come back, since they are hand-graded and compared to Master judges notes of the exact same beers. While you are judging the beers in one room with fellow judging candidates, master judges are in a room near by also judging the exact same beers at the exact same time that you are taking your tasting exam. There notes are used to compare and contrast against your notes to assess your level of knowledge and understanding of the styles. Then there is a point value system to rank your level, once you passed. I luckily found out on Christmas Eve 2014, that I passed and was ranked a Recognized Beer Judge, it was the best Christmas present! I also continue to further my education on craft beer by recently passing the Cicerone (CBS) exam with a goal of working towards the Cicerone title and I'm also currently reading Brewing Like a Monk as some of my favorite styles are Belgian. I have yet to brew all the classic styles, that would be a definite undertaking, but I wouldn't discount that possibility either. I love to continually evolve and work towards being a better brewer. - Are you interested in becoming a BJCP or are you currently studying to be a judge? Are you one already? If so, where are you located? - What are you doing to become a better brewer? Do you have a method, a recommended book? I'd love to hear what your thinking! When I was in my 20's my sister lived in Portland and I'd visit her at least once a year. She'd take me to the coolest places, like McMenamins Pubs, which I loved for not only their artistic creativity of their spaces but for their food and drink as well. She introduced me to craft beer and wine tasting in general. I can still remember the first time I tasted the Ruby, a McMenamins raspberry ale. I had no idea there was such a thing as fruity beer, it tasted so good! In Chicago at that time, there was no craft beer option, other than Goose Island, and they were brewing more traditional styles not fruity or experimental ones. This past weekend was my first time back to the Pacific Northwest in years and I knew there would be so many favorites to revisit and new places to discover. Below are my Top5 Breweries, and Top5 Beer Bars in Portlandia to grab a tulip of liquid bread. I also have my Top5 that I need to hit up next time. Unfortunately there weren't enough days to see and drink everything that I wanted. I had to make some tough choices and we went to mostly to breweries where you can't buy their beer here in Chicago. The Commons Brewery - If European inspired craft is what you crave, Commons has your answer. We ordered one of everything... please. They had 10 on tap. I love getting tasters to try a bunch of different styles. It's my favorite way to taste a new brewery. I feel like I'm able to get a sense of their quality and style as a whole. The space was a large and inviting warehouse with charm. My favorites here were Rouge Melange a delicious blend of a fruit beer and a Syrah, Fleur de Blanc a saison, Aquavit Urban Farmhouse, and the Baltic Porter. Upright - If you can find this brewery in the basement of the building that it says it's in, you should automatically get a free tulip of craft upon arrival. We walked here from the White Eagle Saloon, where we were staying... it wasn't far, it's just under a mile, but it was 95 degrees out and super moist. Then we walked around the entire building which was a full block in width, because Google didn't indicate the entrance side. We were fully parched about the time we found the door. Then we walked up the stairs and then down the stairs, and finally took an elevator to the basement. If there was one top-secret brewery in Portland, it would be Upright. Their beers are very much undercover! We had a full flight, some of which we can get in Chicago, but I had not had yet. Their 4-7 series, are sold at my local bottle shop, but I've never had 5-7. They were tasty and of that series 6 and 7 were my favorites, and their Barleywine was perfection, but BB Stout stole the show for me... A blueberry stout. I'm such a sucker for a good stout. Casscade Brewing - House of sours, oh my! Their Honey Ginger Lime beer was one of the most magical beers I've ever tasted. It was a perfect combination of sweet, tart, and spice. I would have gotten a bottle to go, but because they use raw honey, sadly they do not bottle it. I'm definitely going to have and try to recreate that one! Another great was a holiday ale called, "Red, White, and Brew" It was a really fantastic blend between a beer and a wine. This beer was a combination of cherries, white wine barrels, and blueberries. If you go when it's really warm, dress lightly. They don't have air-conditioning and their high-alcohol chilled beers go down way too easy in the heat. McMenamins - Super biased here. Not only is McMenamins one of the first places I ever drank craft, but it's also one of the original Portland breweries who helped pave way, even in legislature, for other breweries and brew pubs to follow. I also love that when they move into the buildings that they reside in, like old saloons, schools, chapels, firehouses, etc., that they embrace their original character and history of each. They are all different and yet the artwork throughout each binds them together. The other cool thing is that they have many hotels in these establishments so you can stay the night right above the pub! Talk about convenience. Every visit to Portland, must involve a few visits to their establishments and they make that even easier with their McMenamins passport. I purchased one while I was there and collected stamps from each place I visited, then combinations of those stamps allow you to win prizes. On this trip we went to/stayed at: White Eagle Saloon, Chapel Pub, Hotel Oregon, Cellar Pub, Rooftop bar, Lighthouse Brewpub, Crystal Hotel, Al's Den, Zeus Cafe, Ringlers Pub, Bagdad Pub, and Edgefield, which includes a winery, distillery, and their main brewery, among other awesome amenities like soaking pool, spa, pool hall, pub golf course, brew and view, and many restaurants. Take a look at their campus map here. Oh and don't forget the beer... Try the Ruby, Terminator Stout, or the Bagdad! Horse Brass Pub - Shaun from the White Eagle Saloon recommended this gem and if I lived in Portland, this is where you'd find me. A lovely classic English pub with the best Reuben I've ever tasted! Seriously. It paired beautifully with Fred by Hair of the Dog Brewing Company. Another tasty stout with those of you who have a sweet tooth was Black Cherry Stout by Walking Man Brewing. The craft list was expansive and impressive, the staff was cheerful and friendly, I'll definitely be back. Belmont Station - Jesse was the most helpful bottle shop guy ever. He walked me through each Oregon brewery, bottle-by-bottle, and I had a delicious Commons Porter while I shopped. Yum. Baileys Tap Room- Co-creator of the digital beer board called, Digital Pour. This might be the coolest bit of technology to ever grace a taproom. Among the usual, like beer style, brewery and description, it also lists the remaining ounces/pours left in a keg, the appropriate glassware, and sizes/pours offered. The beer list was impressive too. My favorite taster there was Red Sea Imperial Red With Chocolate by Caldera Brewing Company. Which everyone could read off their digital social media board as I posted what I was drinking there. Saraveza - Midwest roots run deep in this shop, and not just because of the New Glaurus bottles decorating the bar, the shop owner herself, Sarah is from Wisconsin. Everything about this bottle/beer shop was super chill and ready to go for some day drinking with a friendly bartender. We had a flight of Oregon beers that were on tap and some of my favorites were... Marionberry Wildfire by Block 15 Brewing Company and Lime Habanero by Hi-Wheel Wine & Mead Co. Hop & Vine - Another awesome woman owed craft beer bottle shop, yes please. Where else can you get bacon wrapped dates, craft on draft, and a bottle of Commons to go? Nancy Brew wants to know! Is there something that I missed? Did I pass over a favorite watering hole of yours? Please let me know. I'd love to hear your favorites and check them out next time I visit. Cheers!